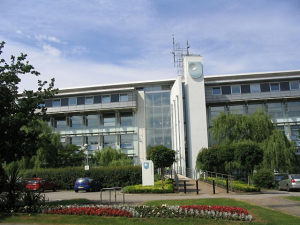 The Open University is a world leader in modern distance learning, the pioneer of teaching and learning methods that enable people to achieve their career and life goals studying at times and places to suit them. The OU is the largest academic institution in the UK with more than 240,000 students, close to 7000 tutors, more than 900 full-time academic staff and more than 3,000 support staff. The Department of Physical Sciences (DPS) is the largest of the three academic departments within the OU Science Faculty, with over 150 staff and postgraduate students. DPS hosts one of the UK’s and Europe’s largest planetary science research groups and strong groups in Astronomy (including astrochemistry) and Atomic and Molecular Physics (AMP) exploring applications of AMP in atmospheric sciences, radiation chemistry and plasmas. The OU VAMDC members are involved in the development of engagement of data producers and data users with VAMDC. They are also engaged in data evaluation and recommendation of A&M data. The OU VAMDC members are engaged in development of the ACID2 Astrochemistry database and the e-Atom/Molecule Database with Indian colleagues as well as the electron molecule database BEAMDB (in Belgrade) [http://servo.aob.rs/emol/] and the RADAM database [http://radamdb.mbnresearch.com/] for radiation modelling.